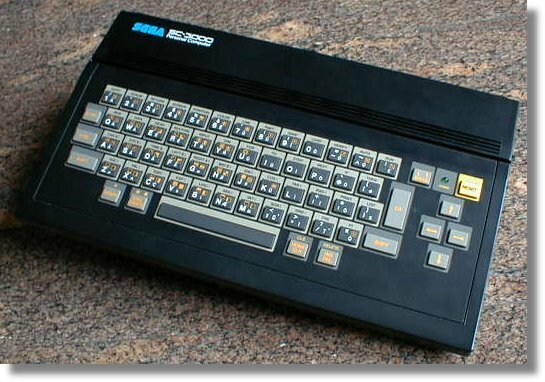 Note SC is the abbreviation of Sega Computer This is the computer version of the Sega SC-1000 video-game. All the cartridges for the SG-1000 can be used in the SC-3000. This computer was sell in Japan in three colors: black, white or red color. The version sell in the rest of the world were black. Configurations It can't be used without a ROM Cartridge. Some sources says that they don't have RAM installed and other sources says that they has 2KB, others 18KB,.... Finally, I find a schematich diagram, and the RAM installed on the motherboard are 2KB. BASIC Level IIB: without info. BASIC Level IIIA: 32KB of ROM with the Sega BASIC and 16KB of RAM. BASIC Level IIIB: 32KB of ROM with the Sega BASIC and 32KB of RAM. BASIC SK-III: without info. It appears be the BASIC for the SK-1100 keyboard add-on for the SG-1000/SG-1000 II consolle. 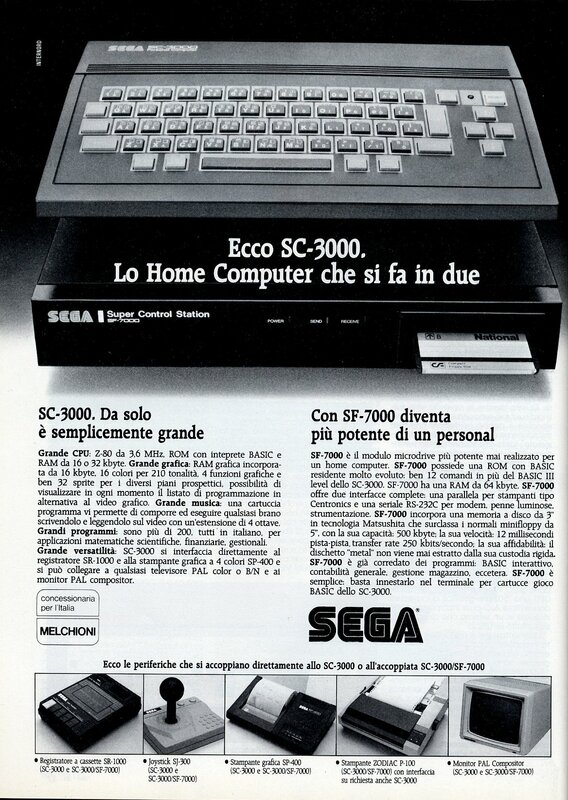 Also exist a add-on which adds a 3" floppy disk drive, 64KB of RAM, 8KB of ROM (with the Disk Operating System), a serial RS-232 port, and a parallel Centronics port: the Sega SF-7000. Also include a DISK BASIC floppy.